10 Human Foods That Are Healthy for Your Pets Too! Humans need antioxidants, vitamins, and minerals and so do animals, but not all healthy human foods are acceptable for pets. For instance, chocolate, raisins, and the sweetener xylitol are all common foods and ingredients that pets should not be given since they pose a toxicity risk to pets. Animals can also have allergies just like humans. So consider eating more of the 10 foods below and treat your pet to them while you’re at it. Some dogs love carrots and it’s no wonder why. 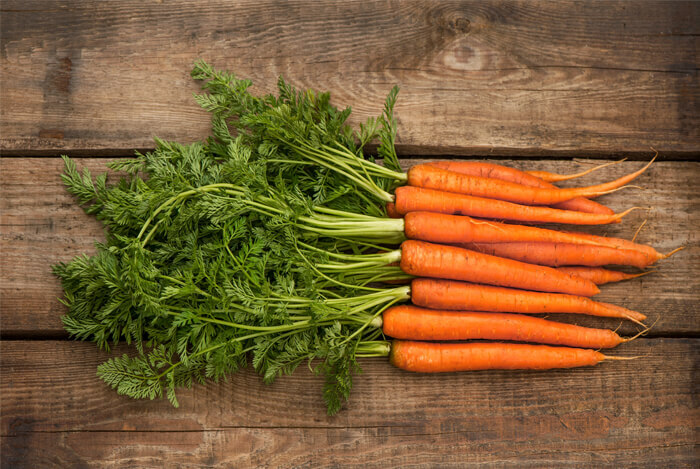 Carrots are packed with a natural sweetness and are full of vitamins A and C which keep their coat shiny and their eyes healthy. Carrots are also a good source of easily digested fiber for pets and humans. You can enjoy cooked or raw carrots and your pet can do the same. Eat them for a snack or dip them in a tablespoon of raw almond butter. 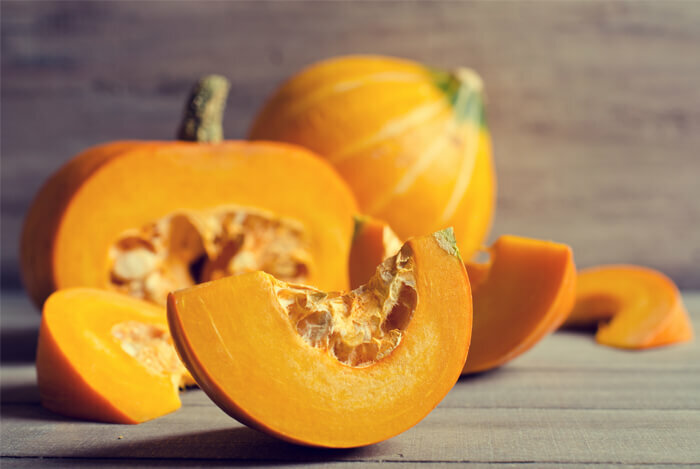 Pumpkin is a wonderful food to feed to dogs and it’s also excellent for humans. That’s because they provide many of the same key antioxidants that carrots do, and it’s a great food to improve digestion and regularity. Enjoy canned or freshly cooked pumpkin any time of the year. It can be served just like you would enjoy butternut squash and can be prepared with meats or fish for dogs and cats. You can also bake pumpkin into muffins with oats, use it to make homemade dog treats, or mix some up with a lean protein of choice for an easy meal or treat to feed to your dogs. Millet is actually a seed, but it cooks up like a grain. It also happens to be a favorite seed eaten amongst birds and is an excellent source of minerals for animals and humans. Millet can be cooked for dogs and included in homemade cat or dog food, baked into dog treats, and raw millet seeds can be fed to birds. 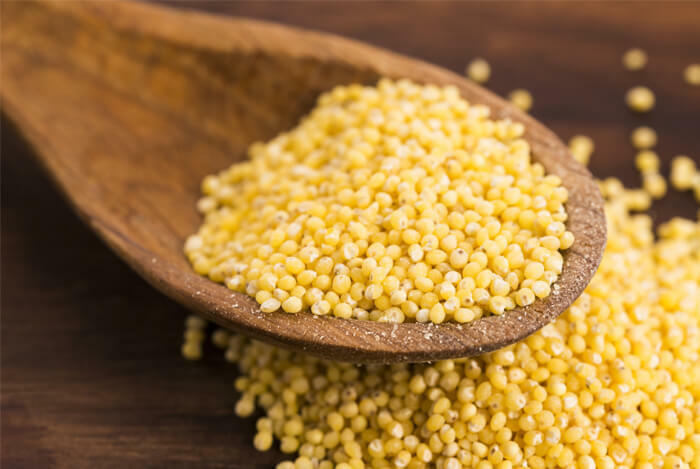 For humans, millet provides a gluten-free source of fiber and minerals that many other whole grains provide. It has a sweet, almost nutty flavor. Green peas aren’t just fun to eat for humans; dogs also love them too! 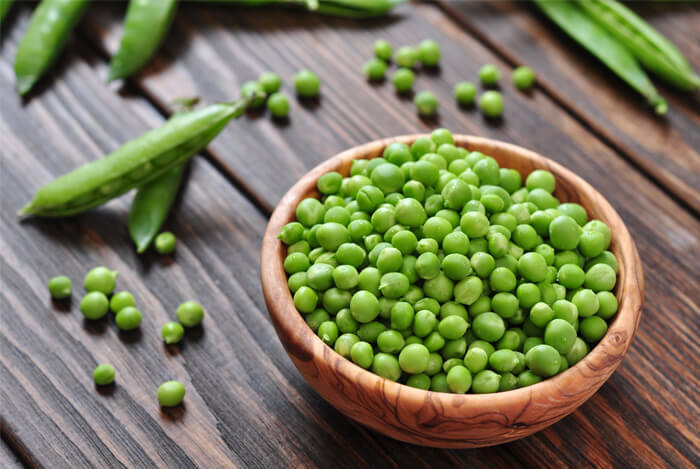 You’ll often see many natural dog foods that include green peas because they’re a great source of easily digested fiber and they provide some protein and key minerals as well. Green peas are also a great legume for humans to include in their diets since they’re low in calories but high in nutrients. 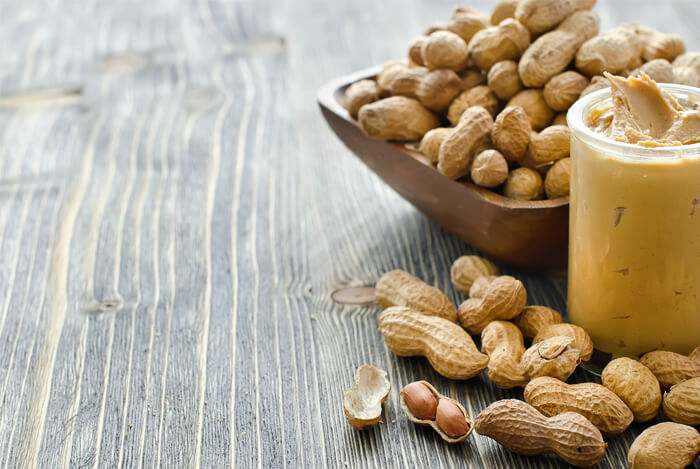 Unless you or your pet has a peanut allergy, peanut butter is a fantastic food to feed to your dogs either fresh off the spoon, mixed into their food, or baked into homemade dog treats with natural ingredients such as oats and honey. Most cats won’t eat peanut butter, but some bird treats are made with peanut butter and easy to digest whole grains or seeds such as millet. For humans, peanut butter is a great source of protein and iron along with key B vitamins and magnesium. The healthy fats found in peanut butter are also great for your dog’s coat and it can improve absorption efficiency of fat-soluble vitamins such as vitamins A, D, E, and K.
Sweet potatoes are one of the easiest human foods to get your dog to eat since they’re a great source of natural sugars and complex carbohydrates. 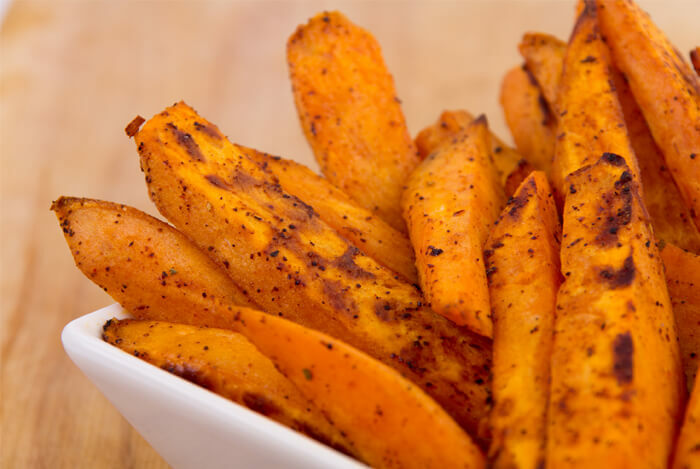 Sweet potatoes also enhance digestion in both humans and pets, and they are wonderful sources of several key nutrients needed for metabolism, skin and eye health. These nutrients include vitamins A, C, and some B vitamins, as well as iron, magnesium, and potassium. Oats are another classic food welcomed by humans and dogs. 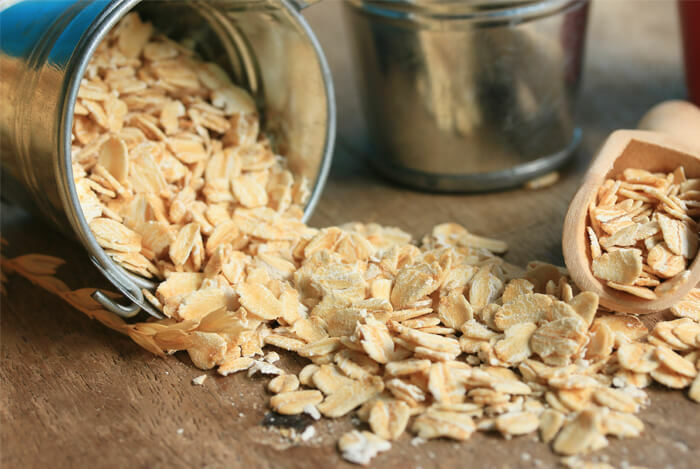 Rolled oats are easy to digest, contain protein and iron, and they’re a great source of fiber. Oats also taste great and can be made into anything from oatmeal to healthy cookies. Humans can even add oatmeal to shakes and smoothies for extra satiety, and oats can be cooked in just minutes for dogs in place of other grains like barley or rice. Oats are also phenomenal sources of B vitamins and they contain some healthy fats making them great for you. 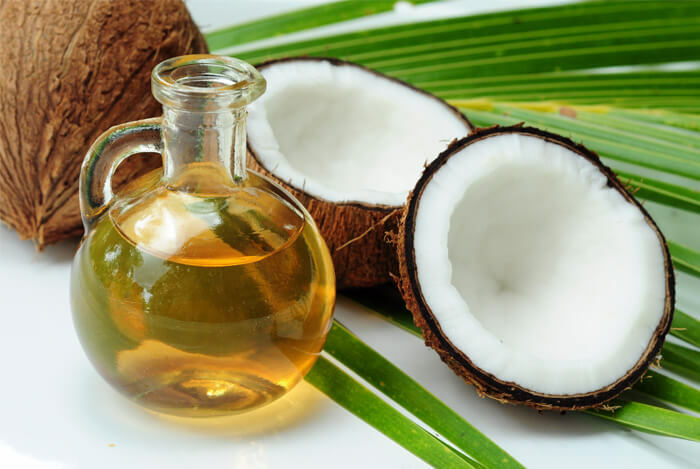 Dogs absolutely love coconut oil and will gladly enjoy a teaspoon or so a day much like you may. While humans shouldn’t overdose on oil, most dogs actually need a higher percentage of healthy fats in their diet than some humans may. Fish is a great source of lean protein for humans and it is also well-loved by dogs and cats. From salmon to tuna and other types of lean fish, any kind of baked or broiled seafood is a great option to give to your pets. 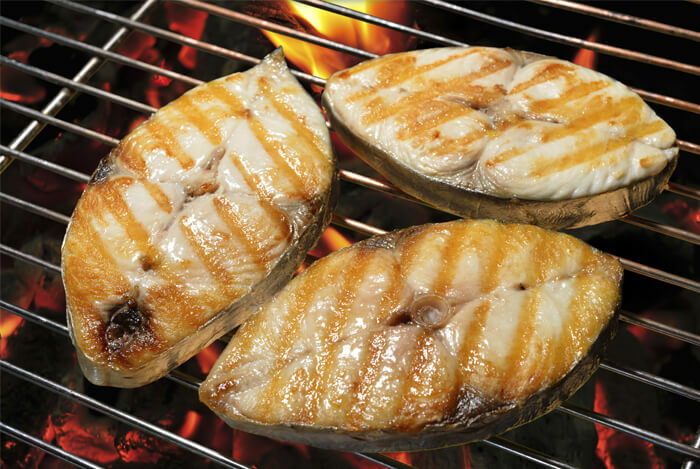 Fish is a great source of healthy fats, B vitamins, iron, potassium, and magnesium. It’s also low in saturated fat and provides some Vitamin D and E depending on the type of fish you select. Dogs will quickly gobble up a blueberry, strawberry, blackberry, or raspberry. The sweet berries are easy to chew and very gentle on their digestive systems. 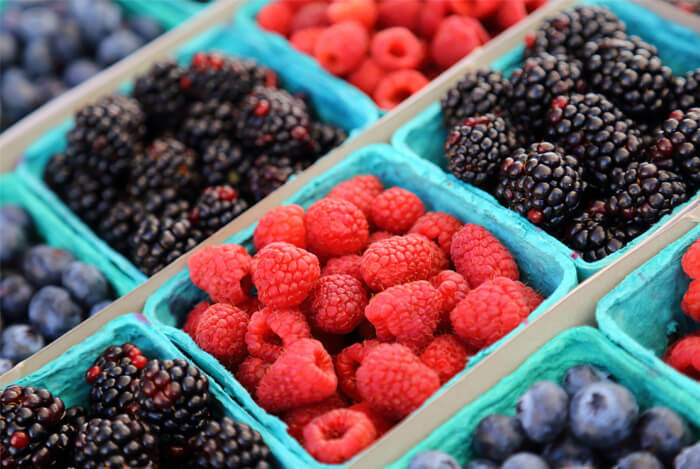 Berries are also a great source of Vitamin C, brain-boosting and heart-healthy antioxidants, and they are one of the best fruits to eat for healthy blood sugar levels. Give these 10 human foods that are healthy for you and your pets a try. What’s your take on healthy foods for your pet? Have anything else you’d like to share? Let me know in the comments below!